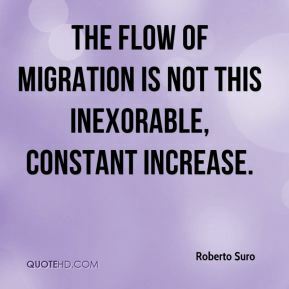 The flow of migration is not this inexorable, constant increase. 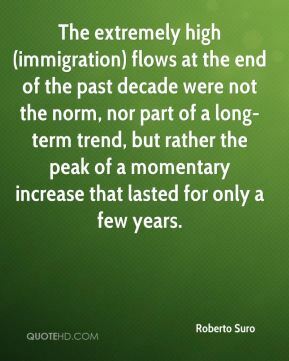 The extremely high (immigration) flows at the end of the past decade were not the norm, nor part of a long-term trend, but rather the peak of a momentary increase that lasted for only a few years. 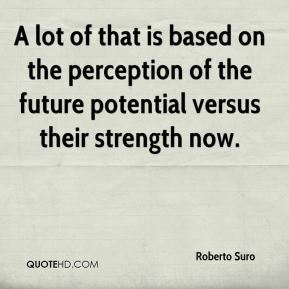 A lot of that is based on the perception of the future potential versus their strength now. 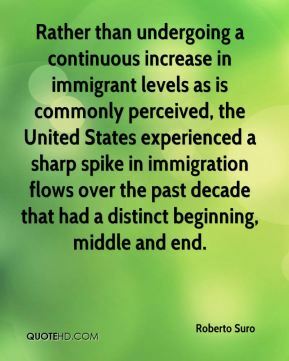 Rather than undergoing a continuous increase in immigrant levels as is commonly perceived, the United States experienced a sharp spike in immigration flows over the past decade that had a distinct beginning, middle and end. 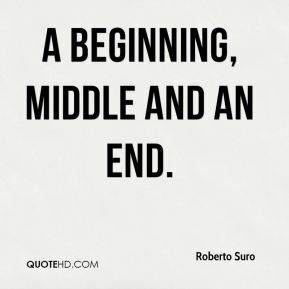 Much of their future lies there, ... 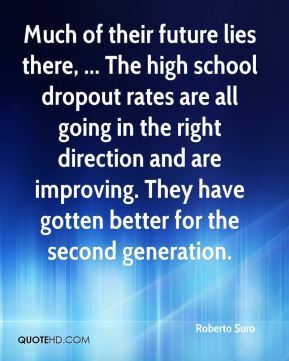 The high school dropout rates are all going in the right direction and are improving. They have gotten better for the second generation. 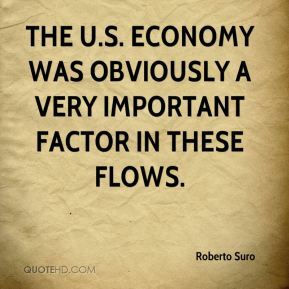 The U.S. economy was obviously a very important factor in these flows. 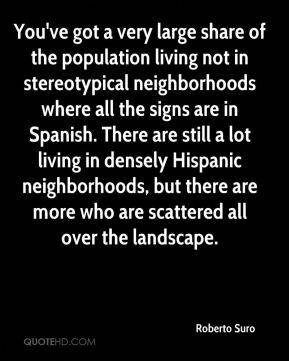 You've got a very large share of the population living not in stereotypical neighborhoods where all the signs are in Spanish. There are still a lot living in densely Hispanic neighborhoods, but there are more who are scattered all over the landscape. 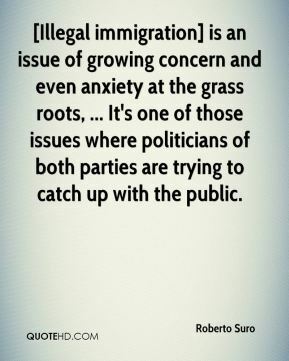 [Illegal immigration] is an issue of growing concern and even anxiety at the grass roots, ... It's one of those issues where politicians of both parties are trying to catch up with the public. Among Latinos in the United States, there's a majority that views immigrants favorably, but there is a significant minority concerned about unauthorized immigration into the country and its impact. 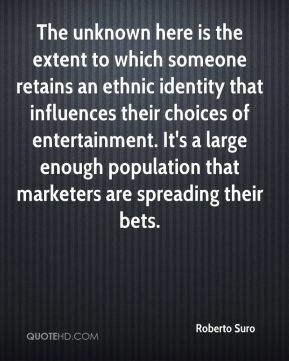 The unknown here is the extent to which someone retains an ethnic identity that influences their choices of entertainment. It's a large enough population that marketers are spreading their bets.